Mounds of frosting, mostly cake or an equal cake-to-buttercream ratio? Everyone has their own version of cupcake perfection. With so many different flavours to try and decoration styles to experiment with, why not get the kids involved in a mini bake off this weekend? 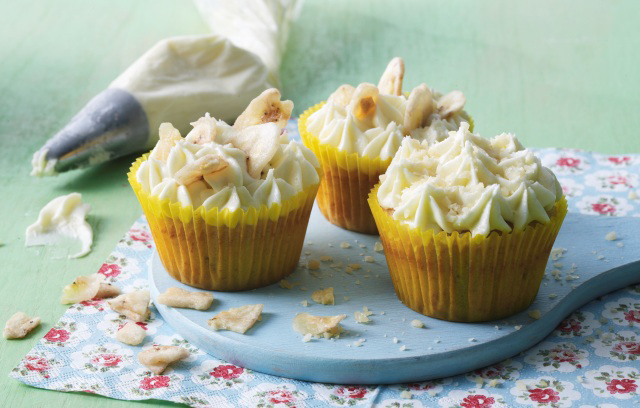 Flora’s Banana Cupcakes are perfect for families who always seem to have one overripe banana lurking in the kitchen: the riper the banana, the better the flavour. 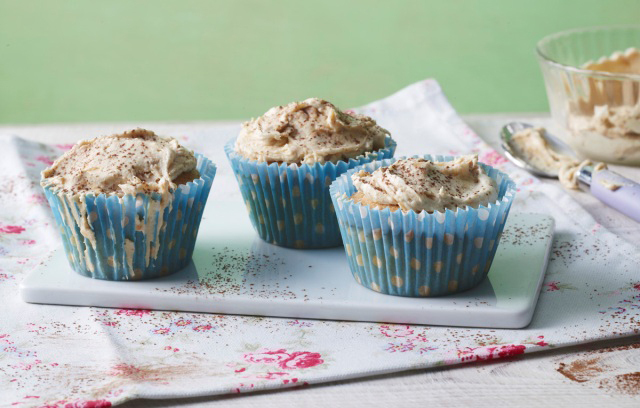 Peanut butter fans will love their Crunchy Peanut Cupcakes, too. This recipe uses crunchy peanut butter, but you can also substitute this for creamy peanut butter if you’re on ‘team smooth’. 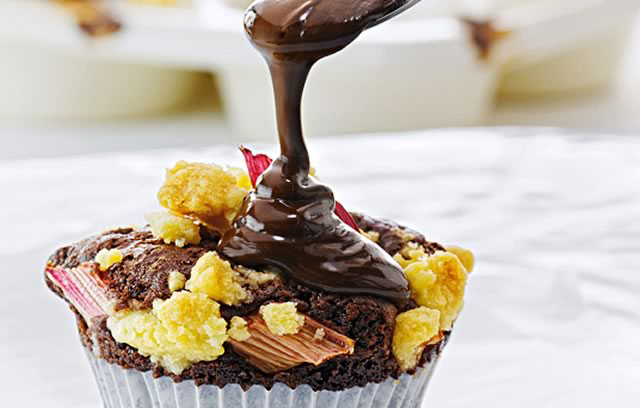 Chocolate and Rhubarb Crumble Cupcakes by Lindt create a new take on the classic English pudding. The tartness of the rhubarb is the perfect foil for the intense melted chocolate topping. 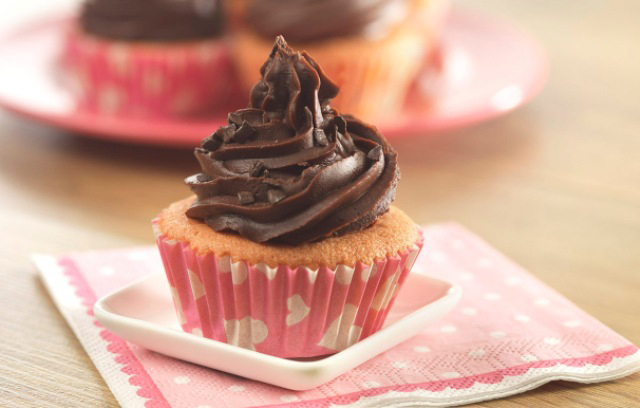 You won’t believe the unusual ingredient Stork’s Cupcakes with Salted Chocolate Ganache calls for. Trust us – it works! 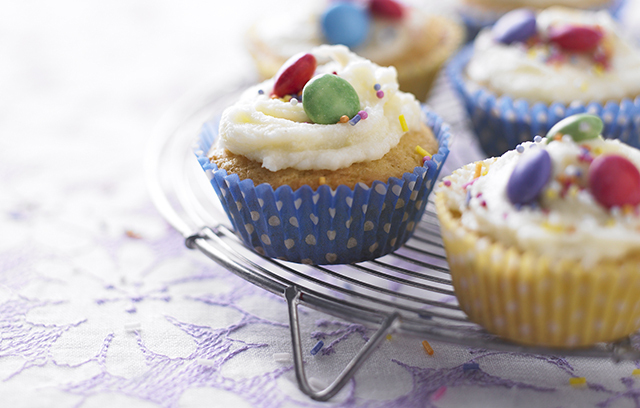 Lily’s Lemon Cupcakes are light, airy and zingy. 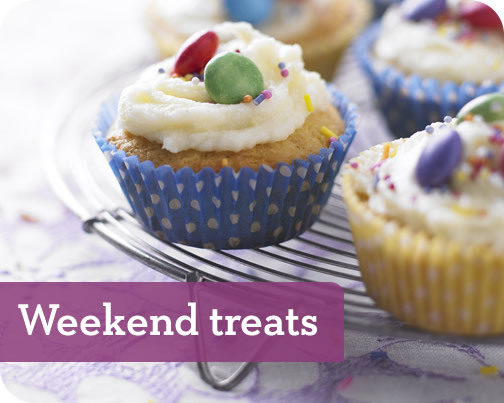 Sprinkled with colourful sweets, these are sure to go down a storm at parties too. 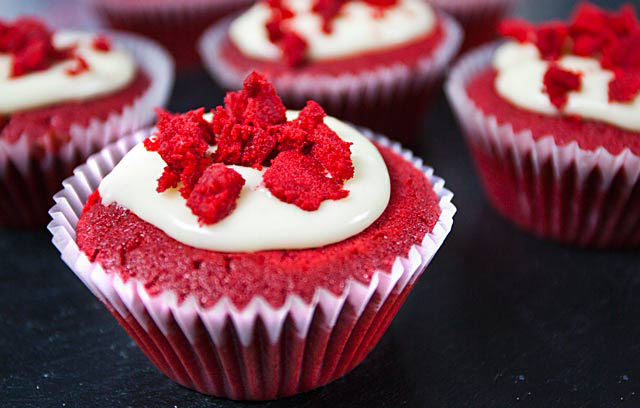 These Red Velvet Cupcakes from the guys at SORTED food are guaranteed showstoppers. Bright red with contrasting white frosting, these little cakes are subtly chocolatey, with the smooth tang of cream cheese buttercream to cut through the sweetness. Have fun adding your own twist to the recipes, too: fancy both chocolate and banana? Add chocolate chips to the banana cake batter. Want a fruitier cupcake? Decorate the lemon cupcakes with a few fresh raspberries instead of sweets. The possibilities are endless – what flavours will you try first? This entry was posted in Talking Ocado and tagged baking, baking with kids, cake, cupcakes by Ocado. Bookmark the permalink. Cupcakes are great for family baking day! These recipes are both unique and easy to make. Sometimes, I like to use a thick vanilla pudding instead of icing when making banana cakes. It reminds me of banana cream pie!